Claude McKay (1890-1948), one of the major figures of the Harlem Renaissance, wrote several collections of poetry, novels, short stories, non-fiction, and autobiographical books. He lived in the United States, primarily in New York, from 1913-1919, and then spent most of the next 15 years in England, Russia, France, Spain, and Morocco before returning to New York in 1934. The papers of poet and translator Robert Fitzgerald (1910-1985) have been fully processed and are open for research. Fitzgerald’s publications include the poetry collections Poems (1935) and Spring Shade (1972), editions of the work of James Agee (1968), the posthumous Enlarging the Change (1985), essays based on the 1950-51 Princeton seminars on literary criticism, and translations of Homer’s Odyssey (1961) and Iliad (1974) and Virgil’s Aeneid (1984). Fitzgerald won the first Bollingen Award for translation in 1961 for his verse translation of the Odyssey. Terrance Hayes is the author of Hip Logic, Muscular Music, and most recently, Wind in a Box. He has been awarded a Whiting Writers Award, the Kate Tufts Discovery Award, a National Poetry Series award, a Pushcart Prize, and a National Endowment for the Arts Fellowship. Major Jackson is the author of two collections of poetry, Hoops and Leaving Saturn, winner of the 2000 Cave Canem Poetry Prize and finalist for a National Book Critics Circle Award. He is a recipient of a Whiting Writers’ Award and has been honored by the Pew Fellowship in the Arts and the Witter Bynner Foundation in conjunction with the Library of Congress. Major Jackson is an Associate Professor of English at the University of Vermont and a faculty member of the Bennington Writing Seminars. 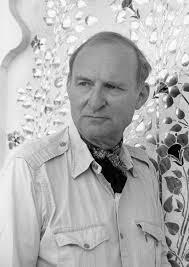 Poet, translator, anthropologist, and editor Nathaniel Tarn is the author of more than thirty volumes of poetry, essays, and translations, including a collection of his essays in poetics and anthropology, Views from the Weaving Mountain, and his recently published Selected Poems 1950-2000. Tarn founded and edited the Cape Editions series in England in the 1960s, publishers of Charles Olson, J.H. Prynne, Ted Berrigan, and others. Until his retirement in 1985, Tarn was a professor in comparative literature at Rutgers. Ron Padgett is the author of numerous poetry collections, including You Never Know, New & Selected Poems, The Big Something, and Great Balls of Fire. His works of translation include Blaise Cendrars’s Complete Poems, Pierre Cabanne’s Dialogues with Marcel Duchamp, and Guillaume Apollinaire’s The Poet Assassinated. He has received awards and fellowships from National Endowment for the Arts, the New York State Council on the Arts, and Columbia University’s Translation Center. Poet Maxine Kumin is the author of some fifteen books of poetry, a memoir, Inside the Halo and Beyond: The Anatomy of a Recovery, three collections of essays, a book of short stories, four novels, and a murder mystery. In 1973, Kumin won the Pulitzer Prize for her fourth book of poetry, Up Country. She has also won the Eunice Tietjens Memorial Prize from Poetry (1972), the American Academy of Arts and Letters Award for excellence in literature (1980), an Academy of American Poets fellowship (1986), the Poets’ Prize (1993), the Ruth Lilly Poetry Prize (1999) the Aiken Taylor Award for Modern Poetry (1995), and six honorary degrees. The Maxine Kumin Papers at the Beinecke Library contain manuscripts and drafts of several of the author’s books, including The Quill-Lion and the Unicorn, Subduing the Dream in Alaska, The Long Marriage, Bringing Together, Jack and Other New Poems, Excerpts from a June Journal, The Designated Heir, The Long Approach, When Mother Was Young, A Winter Friend, Inside the Halo and Beyond, and many drafts of individual poems. The collection includes correspondence with Carolyn Kizer, Daniel Hoffman, Josephine Jacobsen, Donald Hall, Dudley Fitts, William Meredith, Howard Nemerov, Anne Sexton, Robert Pinsky, William Jay Smith, and several publishers. Audio and video recordings of readings and interviews are also available, as are additional materials including translations, speeches, lectures, family letters, postcards, greeting cards, clippings, and a scrapbook. For more information about the Beinecke’s holdings, please search for “Maxine Kumin” in the Library’s Uncataloged Acquisitions Database.